Lampson Design Ltd. is committed to protecting your privacy and this page explains your rights and options with regard to the use of your personal data. We strive to ensure that any personal information is obtained legally, held securely and processed in accordance with current legislation and best practice. Lampson Design Ltd. will only collect information that identifies you when you voluntarily provide it to us by telephone, post, fax, e-mail, or through a form or link on our website. 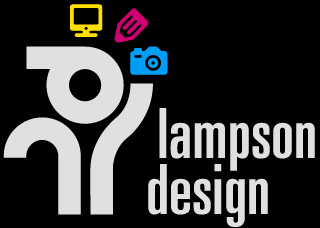 Within Lampson Design Ltd. we may use your information to provide you with the services and products you request, to assist with your questions about our services, products or use of our website, to evaluate our services and products and to conduct customer surveys. Lampson Design Ltd. will not give, sell, rent or loan or otherwise disclose any personal information to any third party, unless you have authorised us to do so, or we are legally required to do so, or it is necessary to do so in order to protect our rights or property. You can contact us in regard to any data we may hold about you, by email at: jerry@lampson.co.uk or by post at: Lampson Design Ltd., Unit R7L Riverside Building, Sheaf Bank Business Park, Prospect Road, Sheffield, S2 3EN.